DROPPED! 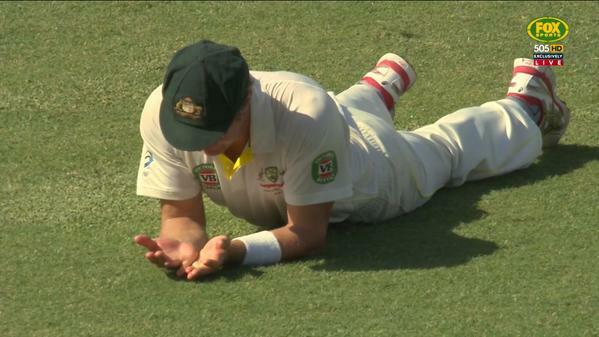 Starc finds the edge of Hope, but Watson puts it down at first slip. WI 4-45. 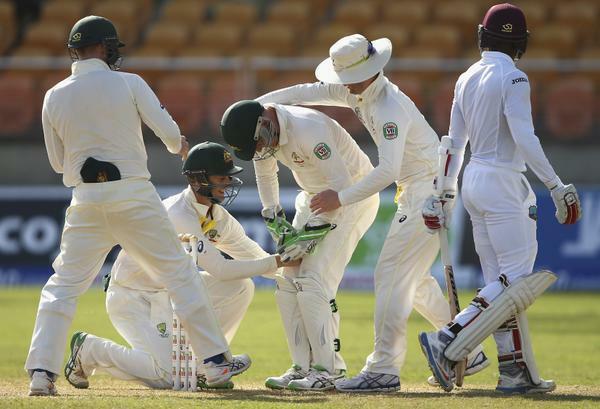 Mark Waugh says it came at an 'awkward height', but the Aussies miss a chance. 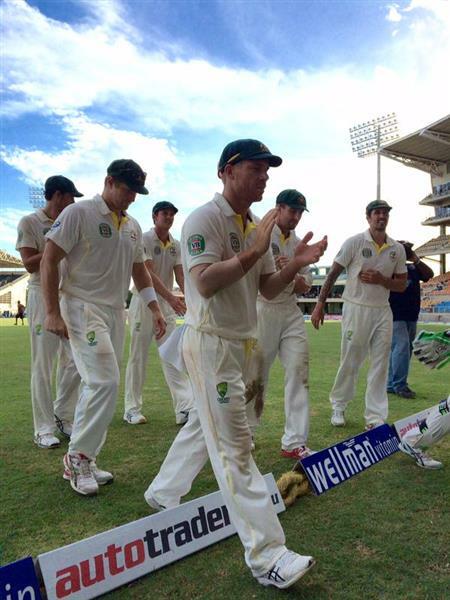 Time for a drink with @westindies 5-83. 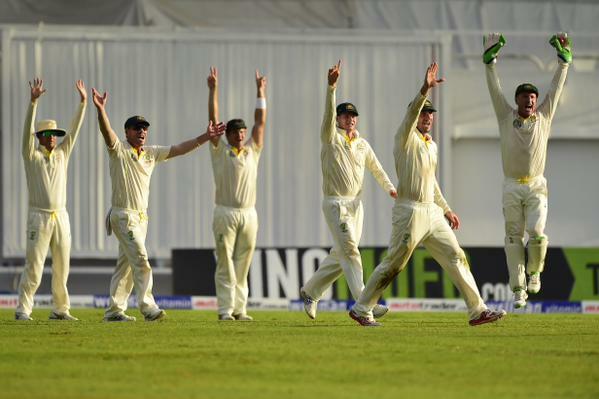 Lyon the pick of the bowlers with 3-16 off nine. DROPPED! 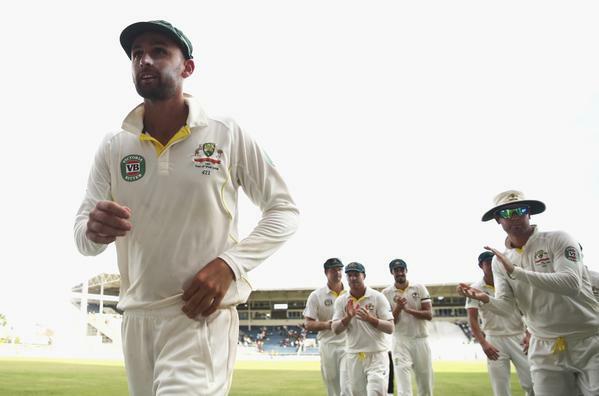 Blackwood edges one off Lyon, but the skipper can't hold on to a sharp chance at first slip. A loose one from Lyon and Ramdin puts it away for four. 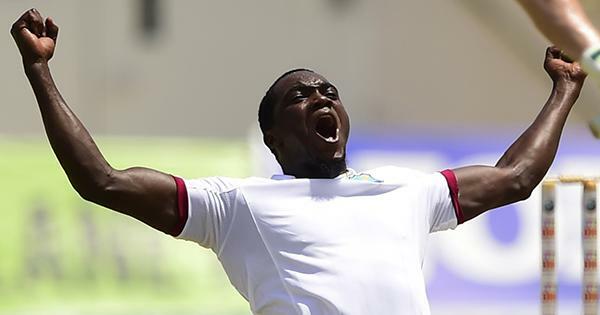 He's now 8* and West Indies are 5-115. GOT HIM, YES GONE! 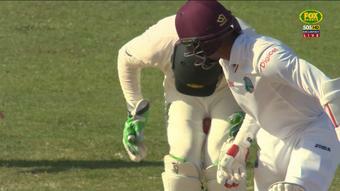 Hazlewood comes back into the attack and traps Ramdin in front for 8. WI 6-119. 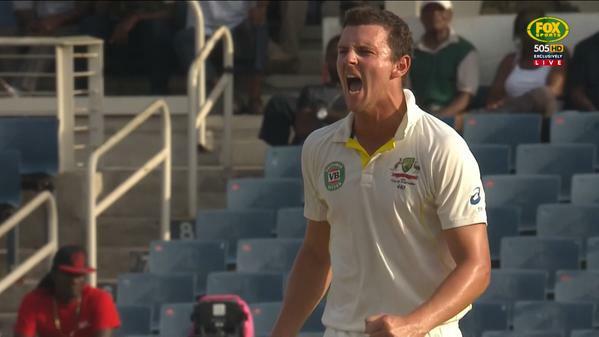 Superb bowling from Hazlewood and Ramdin is sent on his way by Richie K.
A fifty for Blackwood! Well played with his side in serious trouble. 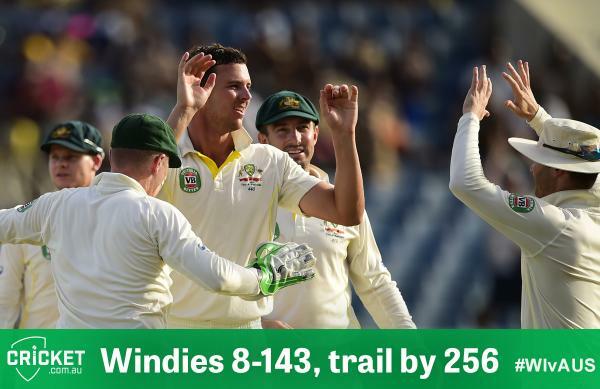 West Indies now 6-140. 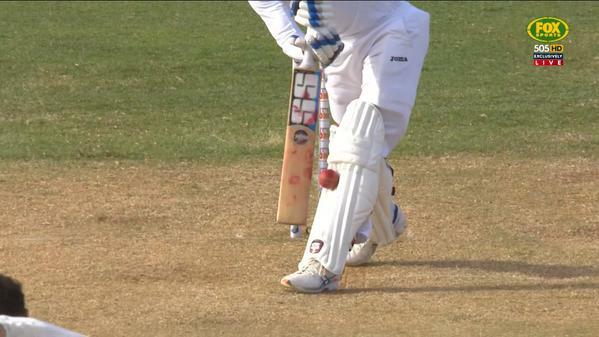 NOT OUT! 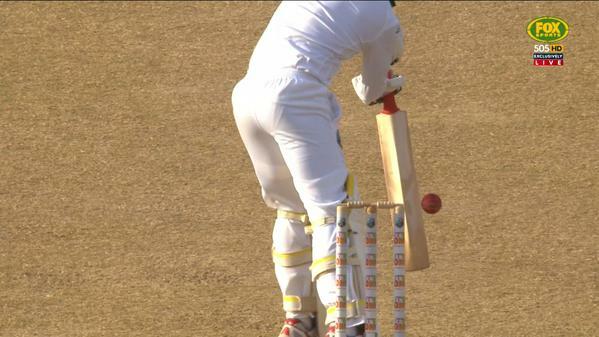 Successful review from Holder with a little inside edge there. WI 7-142. 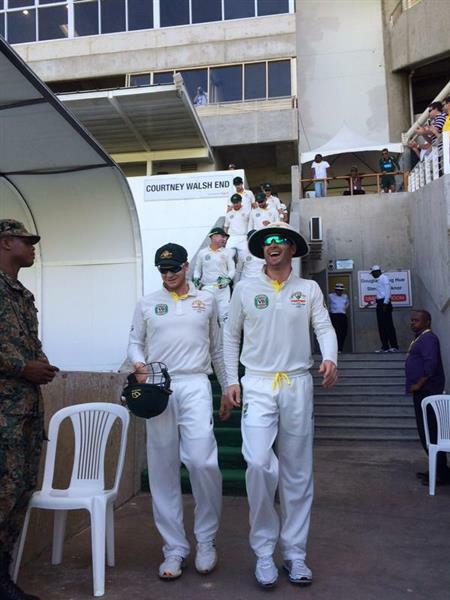 This bloke goes alright! 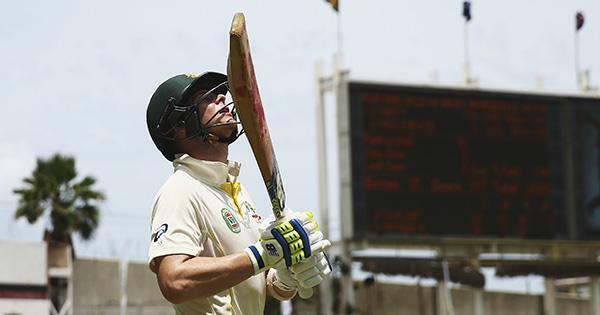 He has figures of 3-15 from 11 overs on day two. 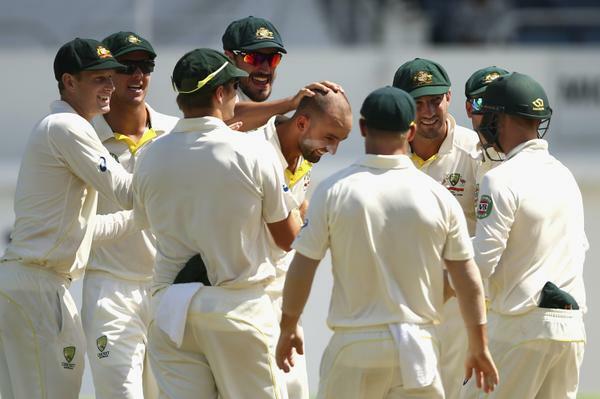 Great batting by @stevesmith49 , and congratulations to Gaza @NathLyon421 for breaking the record ???????? 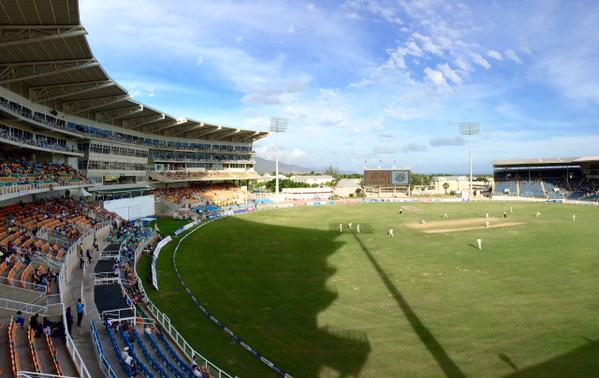 Roach is off the mark early on day three with the Windies 8-149, trailing by 250 runs. 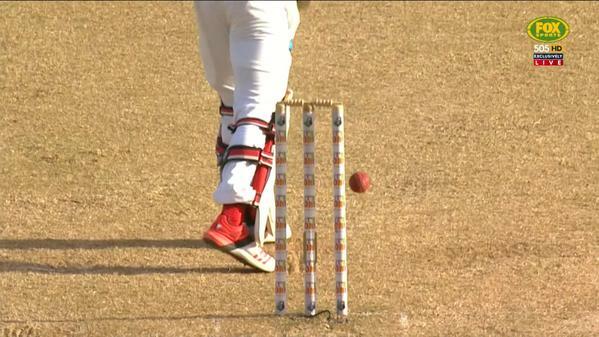 A top edge from Holder (28*) falls safely in the deep as Voges can't quite get there. WI 8-160.